Grocery cooperatives dot the retail food landscape in cities across the United States. Most of these community-owned stores participate in an alternative food network that supports local farming, organic products and fair-trade goods. Many cooperatives are part of neighborhood commercial corridors. Those with a long tenure may be the most established, and largest, retailers on these corridors. These grocery cooperatives may play a crucial role in corridor governance, helping to convene other merchants to market the corridor, increasing visibility, sales, and corridor stability. Though cooperative groceries date back to the Industrial Revolution (and cooperative business practices are even older), today’s stores were mainly founded in the 1960s and 1970s. 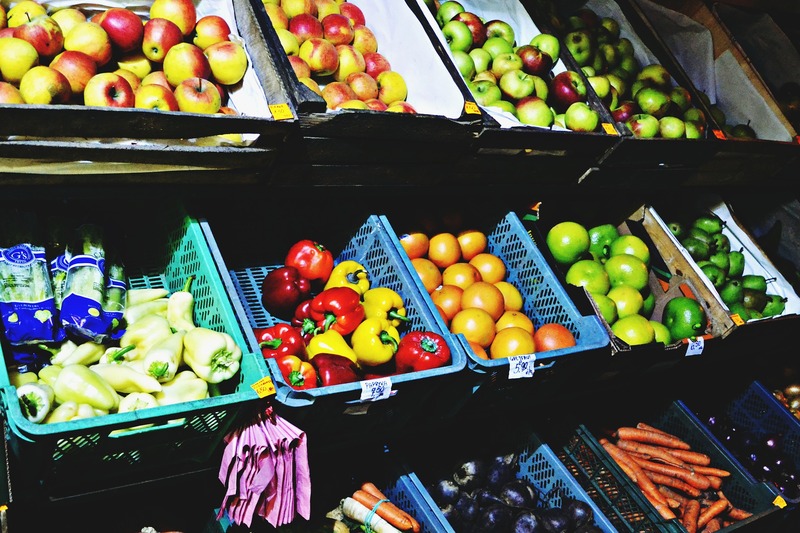 These co-ops emerged from New Left activism and chafed against institutionalization – some even called themselves “food conspiracies” – but several hundred have successful adapted to the challenge of running a successful grocery business in the face of competition from national chains like Whole Foods, farmers markets and community supported agriculture. Retail food cooperatives today account for $2 billion in retail sales and employ more than 15,000 workers. A number of factors influence the growth of the grocery cooperative market: the popularity of local and organic food; growing support in urban centers for local businesses as a reaction to corporate chain retail; and influx of population and wealth of the recent “back to the city” movement. Taking advantage of the momentum, co-ops have decided to expand their stores and grow their business. There has been a wave of co-op expansion around the country in the last decade, from the Wedge Community Co-op in Minneapolis, MN to the Brattleboro Food Co-op in Vermont. In addition, organizations like the Food Co-op Initiative (fci.coop) have worked to incubate new grocers to grow the cooperative economy. Weavers Way Co-op, in Philadelphia, PA, is an anchor tenant on its original retail corridor in the Mount Airy neighborhood since 1974, and it has recently expanded to serve other neighborhoods. Our study examines the relationship between Weavers Way and the commercial corridors on which it resides, contrasting its success catalyzing and co-managing the identity of Mount Airy Village with Weavers Way’s struggles to serve as an anchor in neighborhood commercial corridors to which it has expanded. We find that the particular political and economic circumstances surrounding each of Weavers Way’s locations influence the ability of the co-op to meaningfully participate in corridor governance. In addition, the co-op’s own ability to build a local constituency affects these relationships. Our research is based on interviews and participant observation at Weavers Way Co-op from 2009 to 2016, as well as interviews with stakeholders on the neighborhood commercial corridors at each of Weavers Way’s locations. During these years, Weavers Way grew from a cooperative in which only co-op members could shop, with each member having to work at the store on a monthly basis; to a co-op completely open to the public without a work requirement. It also grew from one storefront in the Mount Airy neighborhood of Northwest Philadelphia to a second branch in the lower income neighborhood West Oak Lane (which only lasted 2009-2012) and a store in the higher income Chestnut Hill (open 2010 to present). Currently, Weavers Way is pursuing its first expansion to the Philadelphia suburbs, partnering with a local co-op organizing effort in Ambler, PA to replace a failed budget grocery. That project is still in development. Weavers Way has been most successful on its original corridor in Mount Airy. Leading an informal business association that also includes an independent bookstore, a café, and a children’s clothing consignment boutique, Weavers Way manages events and marketing initiatives for Mount Airy Village, as the commercial corridor is known. According to interviews, the co-op’s long tenure, organizational stability, and economic strength makes it an asset to the other corridor retailers and drives sales for all of them. In contrast, Weavers Way was unable to succeed in West Oak Lane, where it failed to do the work to build a constituency for its local and organic offerings and cooperative business model. It was recruited to this corridor by a community development corporation that had its own political and legitimacy issues, and Weavers Way never successfully integrated into the retail environment, leading it to close the branch after only a few years. At Weavers Way’s Chestnut Hill outpost, it has seen sales success but less traction building relationships with other local entities, in part because governance on the corridor is fragmented among a business association, a politicized business improvement district, and other entities. We find that grocery cooperatives like Weavers Way are more likely to play a successful governance role if they enter the corridor when there are no other potential corridor governing organizations, and the corridor is at an early stage of development or redevelopment. In addition, cooperatives created by neighborhood stakeholders more closely reflect the social norms of the neighborhood and will be more successful at anchoring the corridor. This research only looks at one cooperative and its performance across several Philadelphia retail corridors. There are numerous cooperatives in positions similar to Weavers Way, and further research may bear out or extend our findings, building awareness of the factors influencing the relationship between grocery cooperatives and the commercial districts they anchor. Andrew Zitcer is the inaugural Director of the Urban Strategy Masters Program at Drexel University, as well as serving as assistant professor in Drexel’s Arts Administration Program. His research examines social and economic cooperation, as well as the relationship between the arts and urban planning. Andrew’s work has been published in Planning Theory & Practice, Journal of Planning Education and Research, and Antipode. Richardson Dilworth is the interim department head of the Department of Politics, the director of the Center for Public Policy and a professor of political science at Drexel University. His research and teaching focuses on American urban political development, urban environment policy and community economic development. He is the author and co-author of numerous articles, the book The Urban Origins of Suburban Autonomy (2005) and the editor or coeditor of seven books, including the CQ Press Guide to Urban Politics and Policy in the United States (2016).